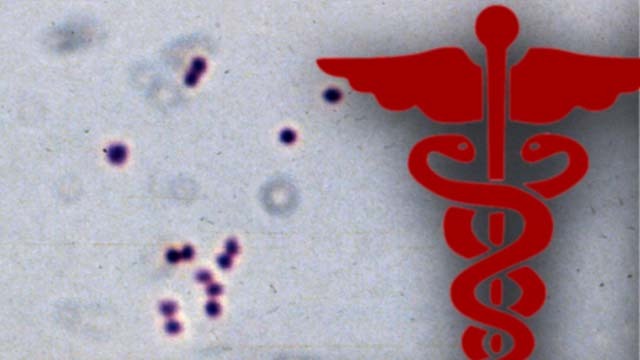 County and San Diego State health officials have notified people in contact with an undergraduate student diagnosed with an infection caused by the meningococcal bacteria, including those involved with sorority rush. The female SDSU student is being treated at a local hospital, the San Diego County Health and Human Services Agency reported Wednesday. HHSA and SDSU Student Health Services recommended close contacts of the patient receive antibiotics to prevent any possible infection. In addition, potential contacts who may have been exposed during sorority rush events on campus last weekend have been recommended to get antibiotics at the SDSU Student Health Services at no cost from noon to 5 p.m. Thursday and 10 a.m. to 4 p.m. Friday. The bacteria can be spread through close contact, such as sharing drinking glasses, eating utensils, cigarettes or pipes, or water bottles; kissing; and living in close quarters. The time between exposure to the disease and the onset of symptoms can be between two to 10 days. Individuals who have had close contact with the infected person should receive antibiotics to prevent possible infection. Preventive antibiotics are not recommended for individuals who were not in close contact with the infected person and does not have symptoms, the county said. They should be aware of possible symptoms and make sure they have received the recommended vaccination against the disease. Information about meningococcal disease may be found here.